With our love of staying connected, our iPads, iPhones, and the like are almost like next of kin. But it can be tough to find the right case – you want something that no one else has, but you don’t want to end up with some random case covered in flying monkeys. So, why not make your own? 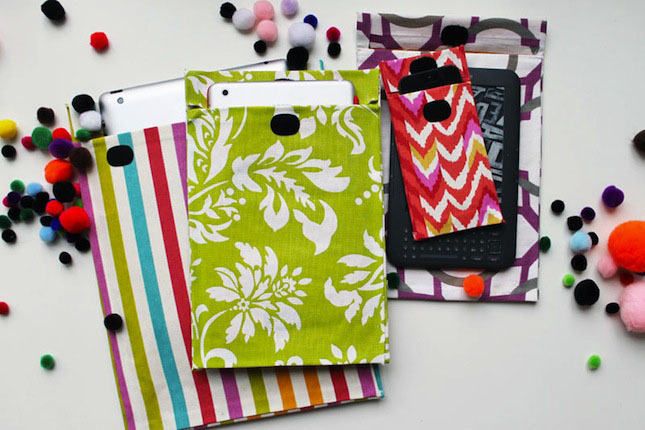 With a padded envelope, fabric, spray adhesive, and VELCRO® Brand tape, it’s easy and quick to customize the perfect tablet case. We used standard padded envelopes as a base. 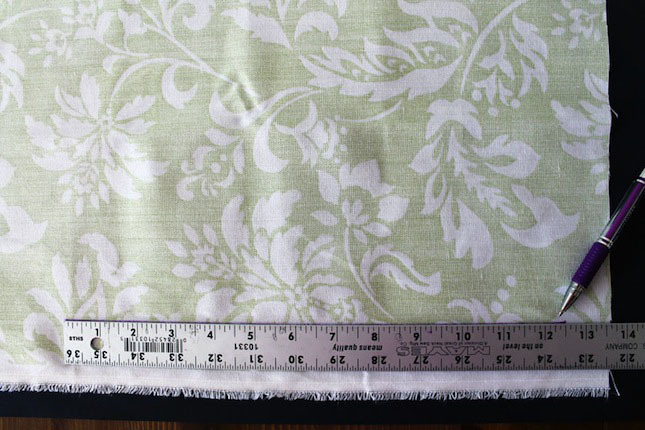 For fabric, we used sturdy canvas-like material found in the outdoor fabric section of Jo-Ann Fabric and Craft Stores. 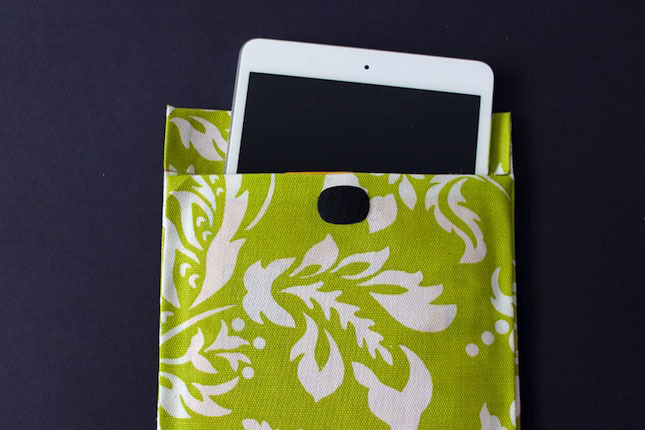 As it turns out most padded envelopes come in a size that will fit your iPad, iPad mini, or tablet. 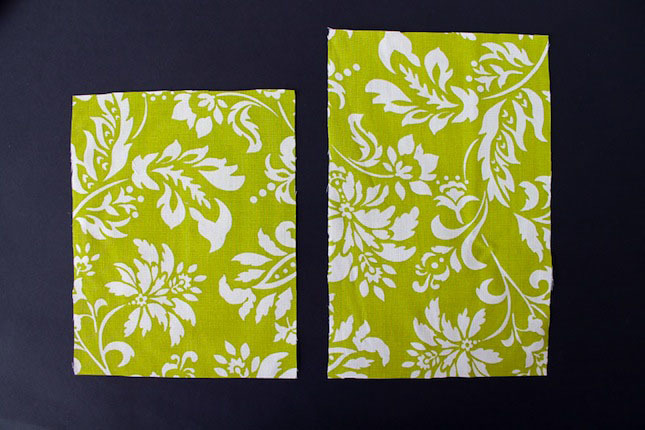 Measure your fabric to cover the envelope so that it covers the front of your envelope and about an inch on the bottom and two sides. 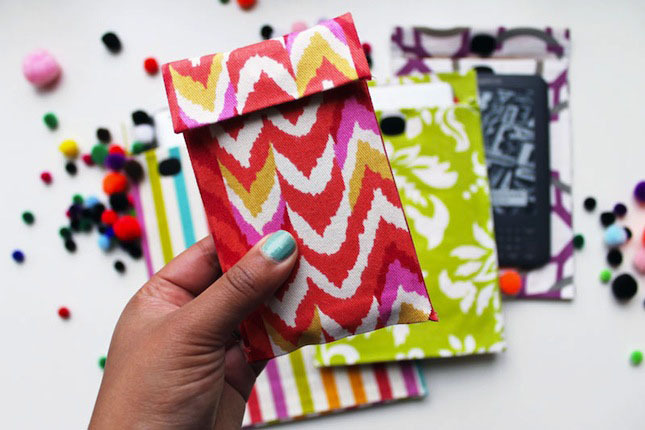 For the top flap, you want to cut enough fabric that it will wrap around. 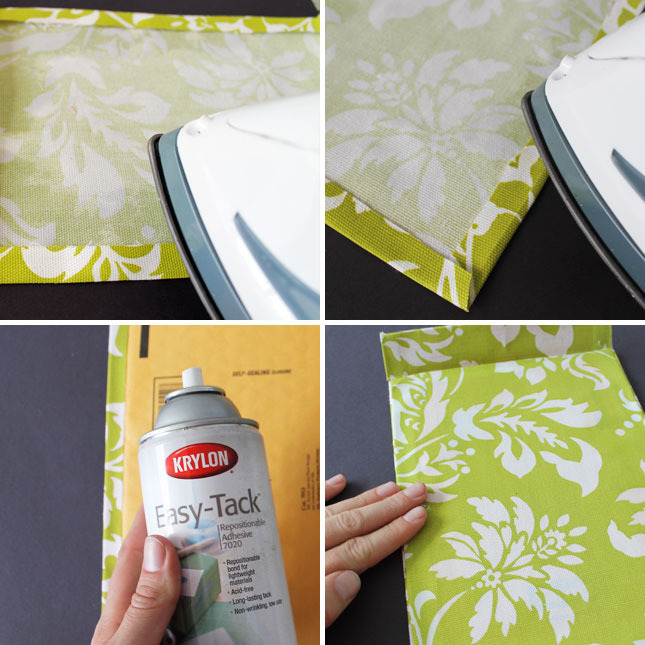 Cut a second piece to place on the back, on top of where you’ve wrapped your fabric. This is what your two pieces should look like. 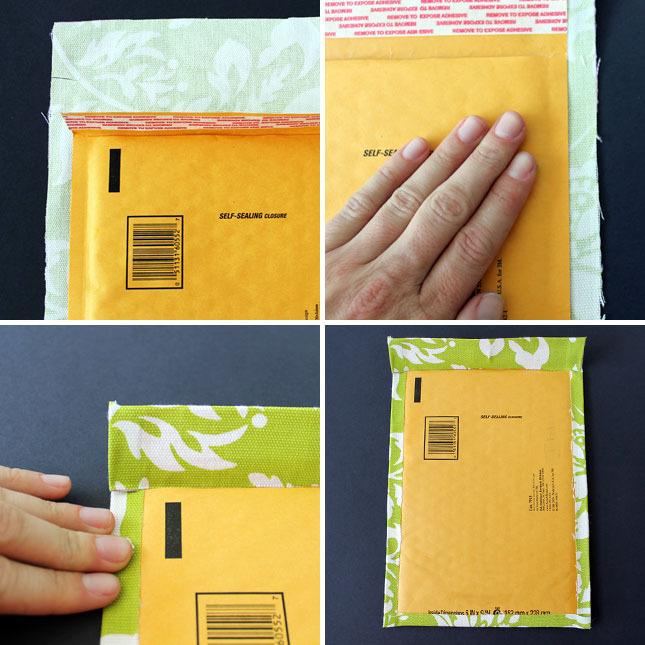 Use spray adhesive to attach your envelope to your fabric. Press firmly and make sure to smooth out all air bubbles. 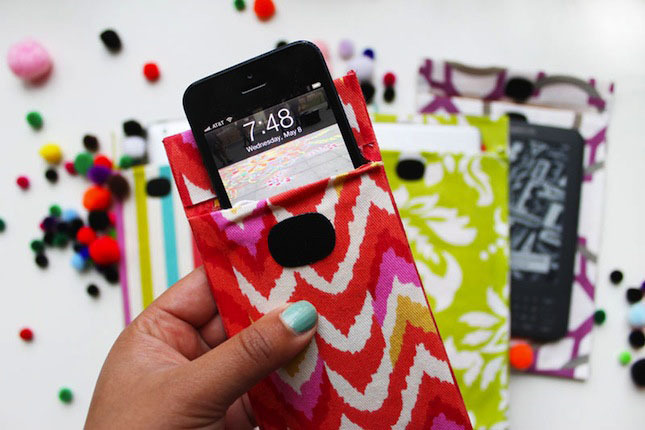 Wrap around all edges and the top flap. To create your back panel, iron on all four sides. Then use spray adhesive to attach to the back – this will cover all raw edges. 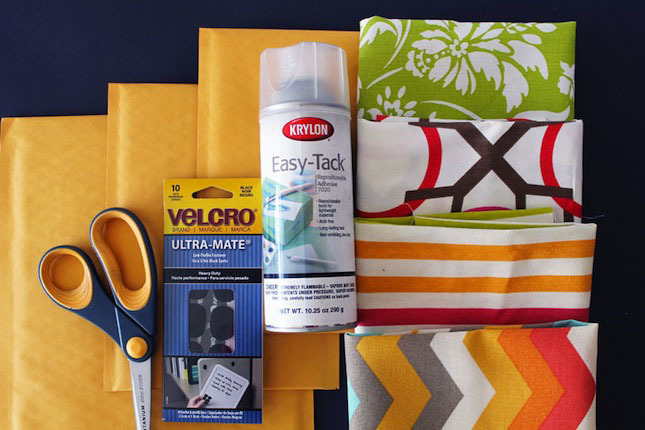 For the finishing touch, add two VELCRO® Brand Ultra-Mate® Black Spots. We made a whole bunch using the same method. 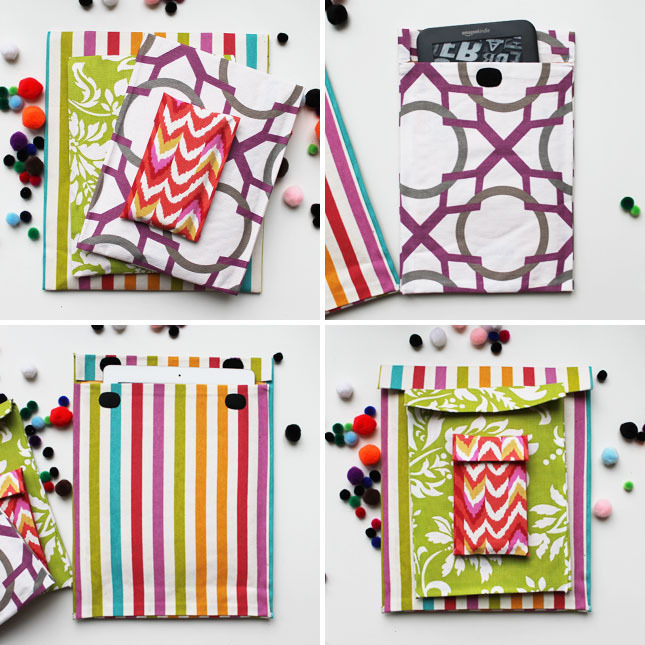 We love all the patterns together, and couldn’t resist throwing a few pom poms into the mix. 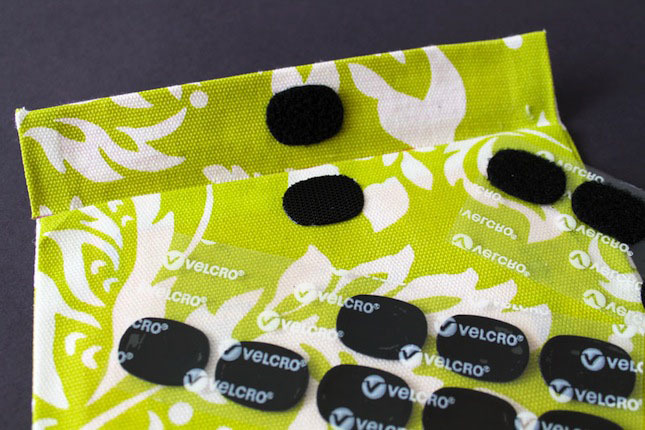 What unusual ways have you used VELCRO® Brand products for DIY projects? Any ideas for projects we should try here at Brit HQ? Talk to us in the comments below.